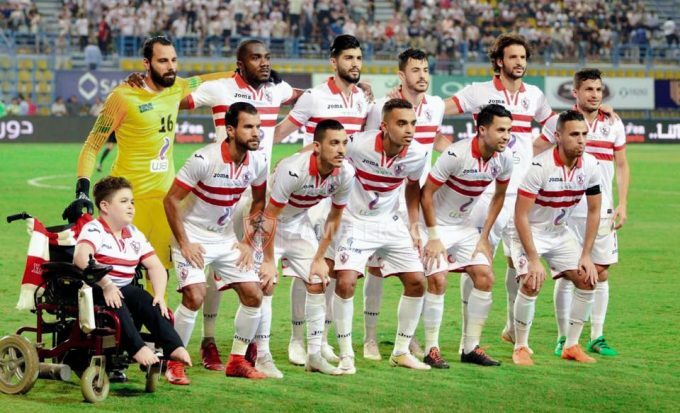 Zamalek manager Christian Gross has named his squad that will face Ittihad of Alexandria in the return-leg of the round of 16 of the Arab Club Championship. The Whites managed to win 1-0 away from home, thanks to Kabongo Kasongo’s strike, and they will need to win or draw by any result to clinch a spot in the quarter-finals. Gross will be without six of his men, namely injured Mahmoud El-Wensh, Tarek Hamed for suspension, Ayman Hefny, Ahmed Abou-Fetouh, Mahmoud Dunga, and Hamid Ahdad for technical reasons. On the other hand, Kasongo, Ferjani Sassi, Kahraba, Hazem Emam, Hamdi Nagguez, and Ibrahim Hassan have made the squad. The game will take place at Petrosport on Friday, November 30 at 19:00 CLT. Defenders: Mahmoud Alaa, Hamdi Nagguez, Bahaa Magdy, Mohamed Abdel-Ghany, Mohamed Ahmed Camacho, Hazem Emam. Midfielders: Mohamed Antar, Mohamed Kahraba, Mahmoud Abdel-Aziz, Ibrahim Hassan, Mohamed Ibrahim, Abdallah Gomaa, Mostafa Fathi, Ferjani Sassi, Mohamed Hassan. Forwards: Youssef Obama, Omar El-Said, Kabongo Kasongo.